The number of Peirce alumni and students, who are not only runners but also running marathons, seems to be growing by the day. Whether it's veteran athletes like Alumni Association President Reggie Waller or first-time marathoners Nellie Otero or Vera Barnes, there are any number of Peirce people who have achieved the truly formidable goal of running 26.2 miles. These Peirce athletes must demonstrate discipline, concentration, and desire as they train, and as they cross the finish line at the conclusion of the race, they have the ultimate satisfaction of knowing that in a very big way, they accomplished what they set out to do. In this way, they’re joined by thousands of Peirce students who continually show their own brand of strength, grace, and endurance by balancing work, school, family and other obligations. They partner with Peirce in getting the skills necessary to succeed in the workforce. While their goal of degree completion is a big one, with support from their Peirce community, hard work, and commitment, they’ll walk across the Kimmel Center stage at graduation and cross their own “finish line." But we need your support to help them get there. In this season of gratitude, please consider giving to the Peirce College Annual Fund. To best provide for our learning community, and in celebration of Peirce’s 150th anniversary, we have set a big goal for ourselves this year. We want to raise $150,000 so that essential academic support and career counseling services can be bolstered, new courses of study can be developed to meet the region’s increasing need for skilled employees, and to make supportive financial aid and scholarships available to ensure that all students are able to achieve their goals. Any amount is welcomed toward our goal; your participation is what makes the difference. Giving Tuesday is December 1st; please visit our secure donation website for more information and to make a donation. Thank you in advance for taking the opportunity to help our Peirce students cross the finish line and achieve their goal of earning a college degree. Happy Thanksgiving to you and yours, and to all of our Peirce runners, whether you're chasing a literal finish line or focusing on finishing your goal of degree completion - congratulations and keep moving onward! This blog post is the final post in a series exploring the importance of soft skills in job interviews and the workplace. In previous posts, we’ve focused on the how soft skills can be the edge you need to advance in the workplace, and how good communication and collaboration are key to ensuring your success. This week we’re focusing on something that can make or break how your communication and collaboration skills are perceived by an employer; a positive attitude. Being positive isn’t just about smiling all the time; but it helps. Enthusiasm, eagerness to learn, and an easy going nature are all traits that are appreciated in the workplace, and employees who exude them are usually the ones most sought by leaders. Seek solutions. Negative people point out obstacles, while positive people point out how they can be overcome. Instead of complaining about problems, try to stay oriented on creative ways to fix them. Remain professional. Negativity usually comes from an emotional place; in the workplace, it’s important to remain focused on the facts instead of how something might make you feel. If there is a problem, try to stay professional in how you approach solving it instead of getting emotional. The bottom line is that you shouldn’t tell someone about your positive attitude; you can show them. Demonstrate these tips in how you approach your work, and employers will see you shine. If you need to earn your bachelor’s degree in order to advance your career, Peirce College is here to help! Visit peirce.edu to learn more about how Peirce has been helping working adults get the skills they need to get the job they want for over 150 years. This blog post is the second in a series exploring the importance of soft skills in job interviews and the work place. In today’s market, soft skills are becoming more and more critical to landing the job you want. Leaders are looking for employees who work well with others and can be team leaders in getting things done. Last week, we talked about one of the most important skills across industries; good communication. This week, we’re focusing on a skill that’s necessary to get almost anything done in the workplace; collaboration. Whether you’re interviewing for an internal promotion or searching for a new job, you will probably be asked about your ability to work as part of a team. Be prepared to talk about how you work in a team setting, and remember these tips when talking about your experiences. 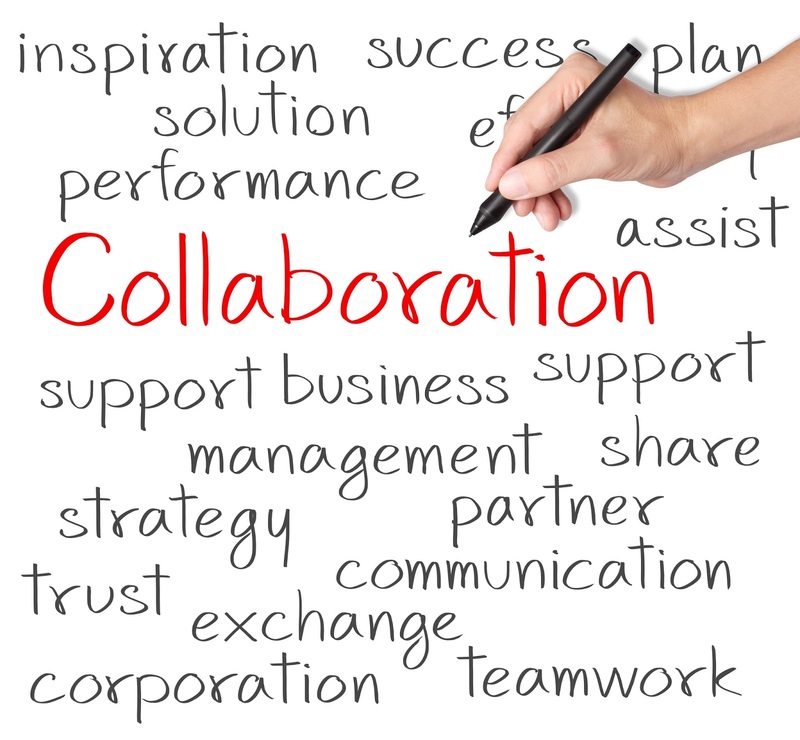 · Give examples of experience you have working on cross-functional and collaborative teams. 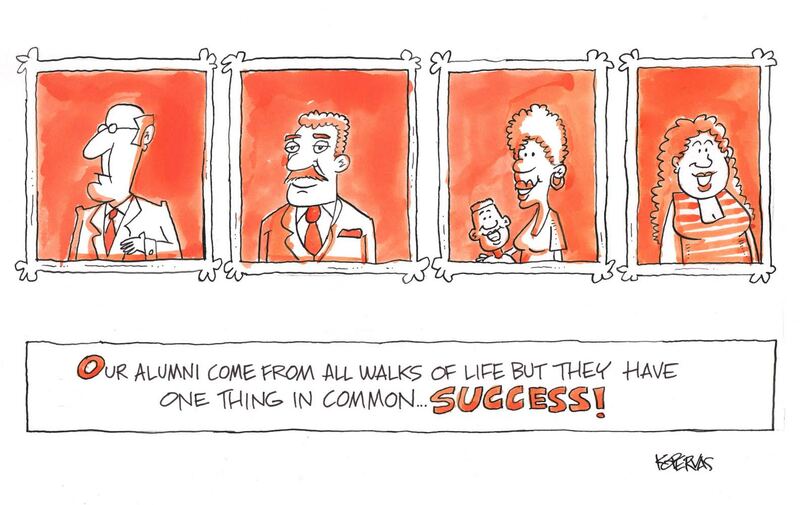 Employers will be impressed with your ability to work across departments for a common goal. · Don’t share team horror stories or focus on negative team experiences. Rather, be positive and speak about how you are good at listening, willing to share the work load, and solve disagreements in a diplomatic way. 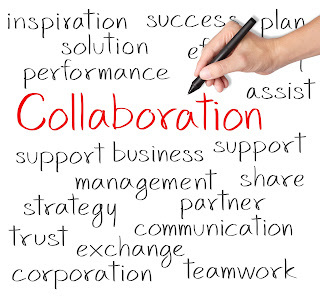 · Demonstrate your leadership; talking about your experience collaborating with others is a great time to stress that you’re willing to do whatever it takes to get the job done. That’s what employers are looking for. Keep these tips in mind, and employers will be impressed by your diplomacy, willingness to do what it takes, and cooperation with others. You’ll be well on your way to taking the next step that you want for yourself and your career. 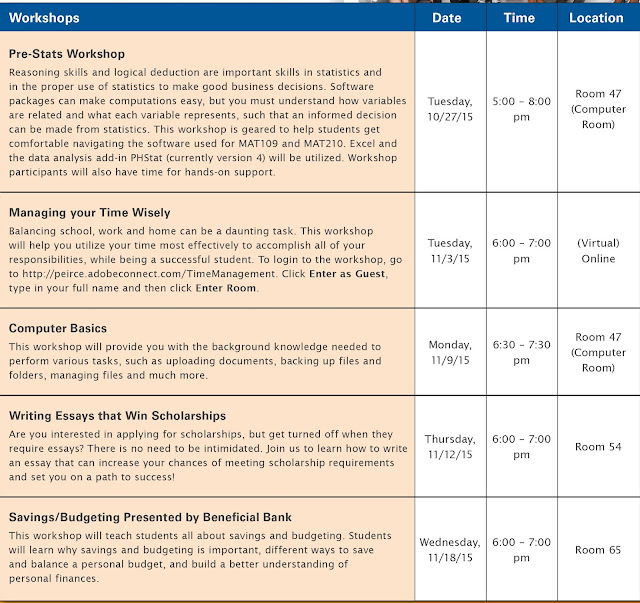 The Walker Center Workshops & Events are in Full Swing in Session 2! Remember, if you can’t make it to a group workshop, you can always schedule a one on one tutoring session. 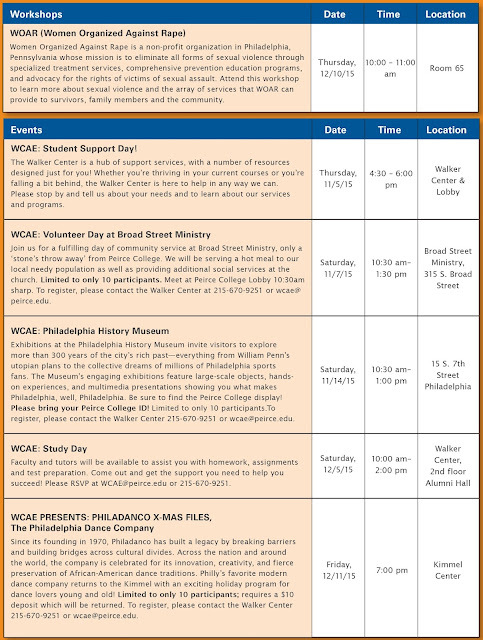 Contact The Walker Center at 215.670.9251 or email wcae@peirce.edu. We hope to see you soon! This blog post is the first in a series exploring the importance of soft skills in job interviews and the work place. Whether you’re working toward a promotion, or hoping to land your dream job, studies show the applicant pool is getting more and more crowded, and you might be wondering, how can I stand out? Well, according to a collaborative study conducted by Harvard University, the Carnegie Foundation, and Stanford Research Center, only 15% of job success is derived from hard, technical, business skills, whereas 85% of job success is derived from “soft skills”. Soft skills are the strengths that help you work well with others; they’re some of the most essential tools employers look for in applicants to measure potential success. Over the next few weeks, we’ll be focusing on three key soft skills you can put into practice to give yourself an edge in the talent pool, starting with one of the most important skills across industries; good communication. In today’s workplace, applicants must be fluent in communicating across a variety of platforms; email, in person, and even video technology may be used to communicate in the workplace and during the interview process. Keep these tips in mind to ensure great communication in the workplace or when job searching, regardless of the tool you’re using! When crafting an email, always include a subject line that is specific to the message. Don’t leave the subject line blank, and don’t write URGENT. If the message is so urgent, it should not be handled by email. Make sure your message is direct and to the point, but not blunt or rude. Ensure the email message has a purpose, is organized, and is brief. Limit or eliminate your use of slang, informal language, emojis, and abbreviations (such as LOL and BTW). Keep in mind that your writing in emails should always be professional. Whether on the telephone or in person, it’s important to pay attention to your tone when you’re communicating verbally. Make sure you’re coming across as friendly, and more importantly, confident, but not cocky. This can be applied for job interviews, but also for everyday business interactions. Just like communicating via email, clarity of your message is critical when speaking to someone, too. Make sure that you’re not using slang, avoid rambling, don’t use words repetitively, and don’t talk over someone. Most importantly, think before you speak and be authentic. Many organizations are utilizing video conferencing as a first round of interviews. Make sure you appear collected, confident, and comfortable. Be aware of the visual aspects of video; give consideration to lighting, background, and camera angle. Do you have laundry hanging in the doorway behind you? Is the camera focused on your ceiling fan and showing only your forehead? These details contribute to your video presence and make it harder for the person you’re having a conversation with to focus on you. To summarize, regardless of your communication platform, make sure to stay confident, concise and professional. The ease with which you communicate could be the edge that secures you the job of your dreams! Throughout the last 150 years, Peirce has produced many things, but one thing we have been especially blessed with in abundance are alumni. Tens of thousands of men and women have gone onto successful careers and more meaningful lives because of the experience they have had while partnering with Peirce. Our alumni are our best representatives to the world of the value of the Peirce education. During the recent observance of our 150th anniversary celebration, it was thrilling to see so many members of that alumni community gather on-campus, sharing pride in their ties with Peirce. Many recent graduates brought their children and other family members to participate in the 3K Fun Walk, taking a tour around town of the places which Peirce has called home throughout the years. Later that week, hundreds of individuals came together under the tent on Carlisle Street for our Founders Day celebration – what a festive group - and I am glad to say that more than a few of them had also been guests at our centennial birthday party in 1965. We are fortunate to have such loyal alumni! 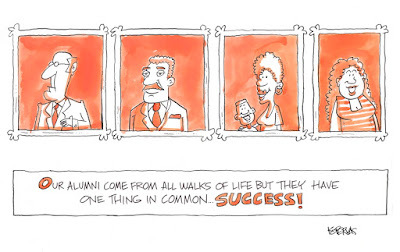 The ties that bind the Peirce alumni community are strong and were in evidence throughout our anniversary week. The best part of it all is that the celebration continues. The Peirce Alumni Association, led by a dedicated Board of Directors and supported by a group of enthusiastic volunteers, offers ongoing opportunities for our graduates to connect with one another and the College. In turn, we welcome all alumni to participate in giving of your time, talent, and treasure to help us fulfill our mission: to equip adult learners, in a personalized, student-centered environment, to achieve their goals and successfully fulfill workforce needs. Working together, we look forward to continuing the Peirce tradition of success that we have enjoyed for the last 150 years, and look forward to celebrating for many more years to come. See you at the 200th anniversary celebration in 2065! 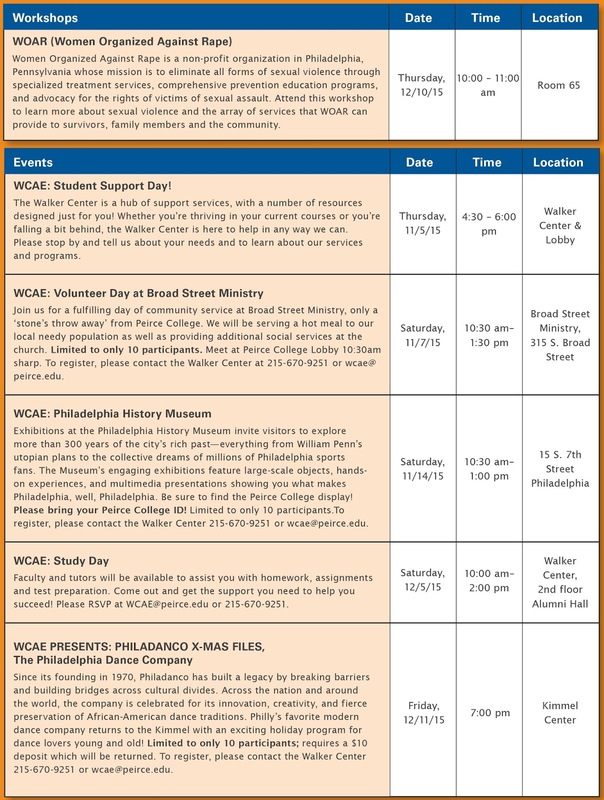 For more information about getting involved with the Peirce College Alumni Association, feel free to contact me at 215-670-9323 or at rfconnors@peirce.edu.